Luigi Ghirri et Claude Nori © Claude Nori. 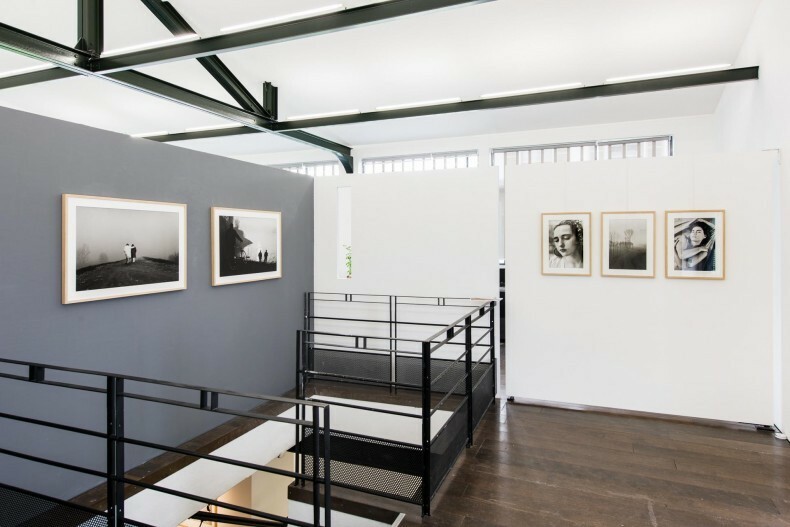 From May 28th to July 30th 2016, Polka Galerie is happy to present an exhibition dedicated to Italy, around the work of Luigi Ghirri, Mario Giacomelli and Claude Nori. Two masters and one pupil. Three Italian brothers gathered for an exhibition. Intended like a walk through landscapes, memories, seasons, travels and imagination, “Fratelli d’Italia” tells the photographic journey of three poets who, through their images, never ceased to evoke their roots as well as the home country they cherished. With no other ambition than to talk about what was happening around them, next door or almost, they brought us a new vision of the end of the world. From the Buona Terra to the Dolce Vita, the dry lands of Scanno to the beaches of Rimini, the tourists of Senigallia and the mist of the Po valley, all three of them, their own way, sought to capture a world about to disappear, from black and white to color. In the early 1970’s, Claude Nori, born in Toulouse and son of an Italian immigrant couple from Verona, stumbled upon photography by chance. He learned it as an amateur, fed by Antonioni’s movies, his romantic fantasies and some happy holiday memories. A few years later, he founded Contrejour in Paris, a peculiar editorial concept dedicated to photography, all at once magazine, gallery and publishing house. Contrejour became a true place of encounters and creativity and was key to the singular relationship Nori built with his two Italian brothers. In 1978, he was the first one to introduce France to the work of his “companion” Luigi, through the publication of the French version of his cult book entitled “Kodachrome”. Fifteen years later, in 1992, Contrejour editions also published a major monographic book on Mario Giacomelli’s work -today expired- after Nori met him in Senigallia. These two events were crucial for Nori as an editor-photographer, since the insight of these two masters, who he well knew and listened to, so deeply inspired his own vision and love for photography. 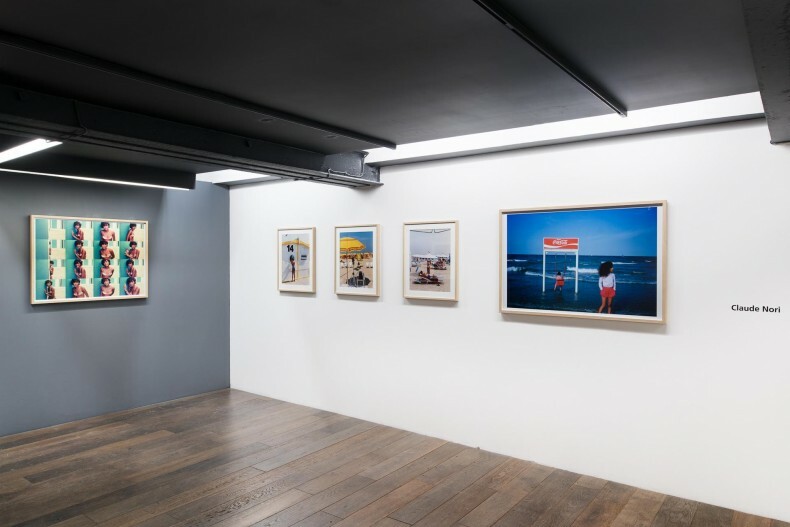 The exhibition “Fratelli d’Italia” draws its inspiration from this fruitful relationship and features an exclusive selection of the respective work of these three artists across the two gallery rooms of Polka Galerie. 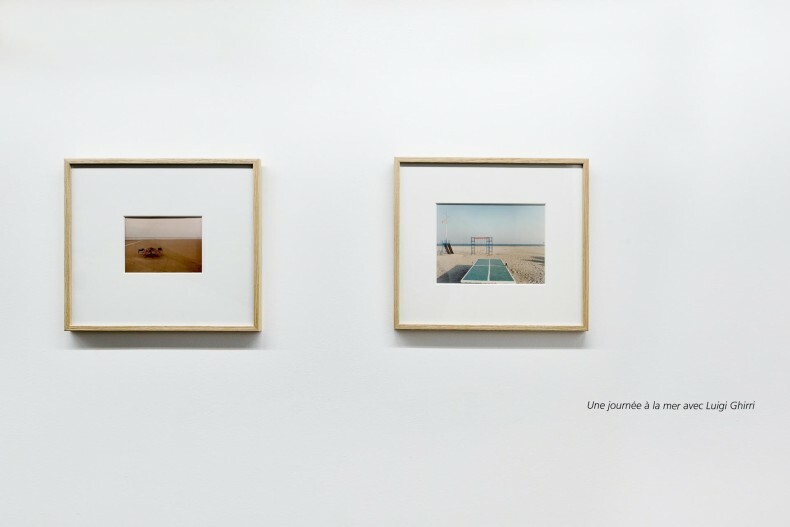 The first room entitled “Mio fratello Italiano” opens a dialogue between the works of Luigi Ghirri and Claude Nori, as a tribute to the Italian landscapes they both beloved. 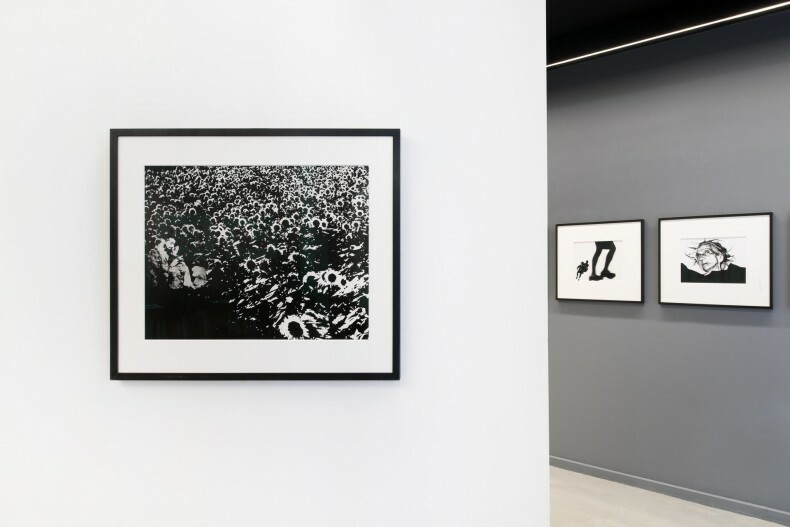 The second room, “Je ne fais pas le photographe, je ne sais pas le faire” (I don’t play photographer, I don’t know how to do it) is dedicated to Mario Giacomelli’s “black series” and showcases several little known prints today. “Mario Giacomelli and Luigi Ghirri were both deeply attached to their home land, the Italian province that runs from Bologna to the Po valley and its Antoninian fog, until the Emilian land and the Adriatic coast where Fellini gave birth to I Vitelloni, a story about a group of teenagers who did not want to leave their small town, Rimini. Neither of them really liked long trips and they build almost their entire body of work from the surroundings of their house, creating a new world from the small things that caught their attention, like the Bologna painter Giorgio Morandi. They both greatly admired the compositions of this master from funnel, cube, and bottle molds laid on a bare wooden table. Through his very contrasted blacks and whites, Mario succeeded in representing with the same intensity the vast lands of Les Marches, the wrinkled skin of old men in nursing homes, portraits hidden in tree barks and the mad love of young people fooling around in the fields, in a poetical as well as formal sort of symphony, which went way beyond pure photography. 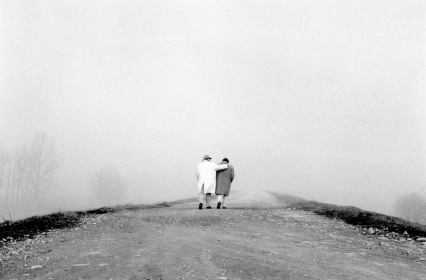 As for Luigi, through his use of colors and unpretentious framing, he managed to capture with irony and tenderness the new fictional and real landscapes that Italy loved, images hidden behind images, which would spark a mix of critical as well as sentimental reactions - before photographing the frozen meadow in front of his house revealed itself, opening up to the infinity. A brotherly link connected me to these two beings, to these two artists. My parents came from this region, which I photographed a lot in memory of the many happy summers I spent there during my teenage years, then drawing inspiration from Italian cinema, the best of which were shot in this place. I met Mario twice. I published his first great monographic book in 1992 and we laughed a lot together. Luigi was my Italian friend, my travelling companion and editorial accomplice. We used to sing ridiculous songs together and my daughter Giulia was conceived in his house of Roncocesi. 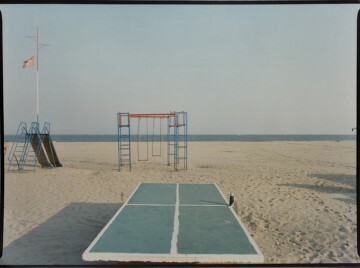 In 1978, Claude Nori published “Kodachrome”, the largest body of work made by Luigi Ghirri between 1970 and 1978. The photographer himself had published the original version of the book a few months earlier through his own publishing house, Punto e Virgola. This work, that remained little know for a long time, is before anything a photographic manifesto. It is a conceptual and poetical quest conceived like an ode to the landscapes of Emilia-Romagna, at the frontier of land art and reality. Ghirri used pastel and the unusual colors of the Kodachrome film rolls to capture the Italy he wanted to remember. Polka Galerie will be showcasing seventeen of these original Kodachromes. The artist himself gave most of them to Claude Nori at the time when he was publishing the book. Then Ghirri’s family gave him a few others. They all come from the photographer’s personal archives. 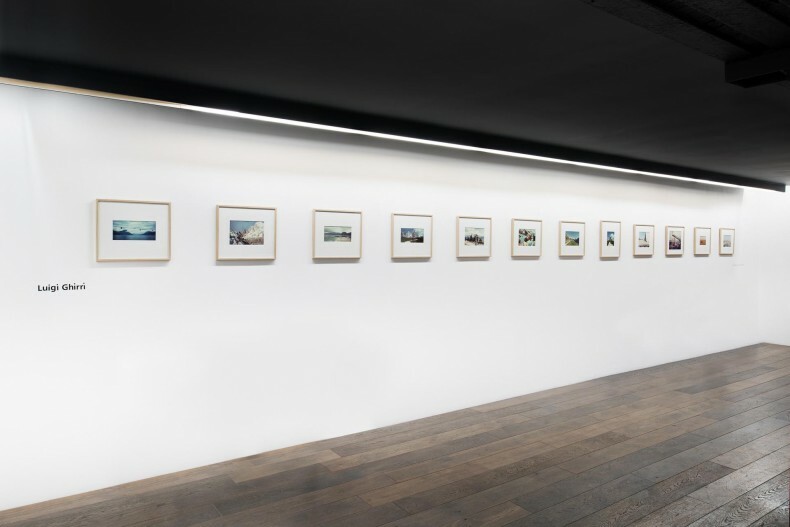 These emblematic and exceptional pieces will dialogue on the wall with two iconic series by Claude Nori. Inspired by his Italian summers, the first photograph is bathed in Rimini’ sunshine. The second one, taken on the shores of the Po, is a tribute to the many walks he took with Ghirri across the valley of the largest Italian river. 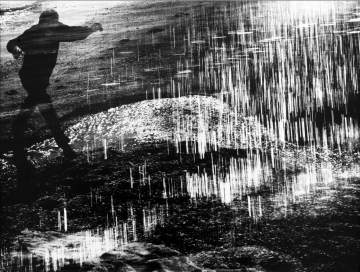 “I don’t play photographer, I don’t know how to do it”, Mario Giacomelli. 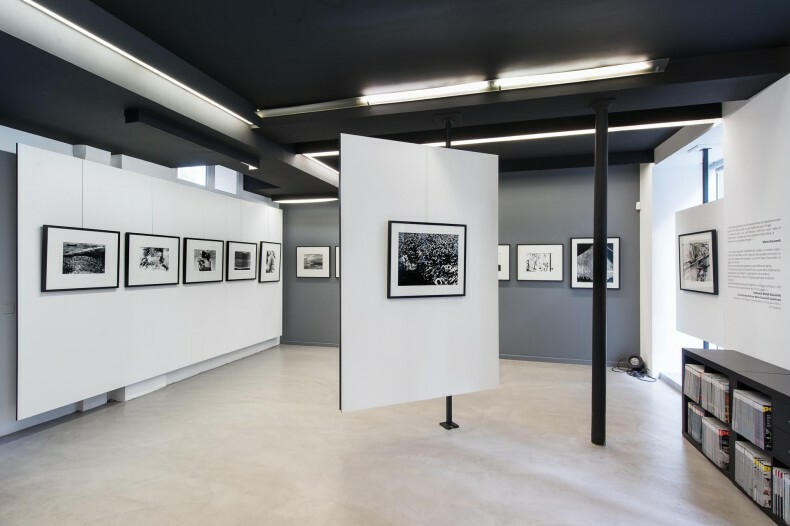 For the exhibition, Claude Nori revives the memories of his first book with Giacomelli, and comes up, with the help of Katiuscia Biondi, the photographer’s niece, with a new visual proposition that visitors will be discovering on Polka Galerie’s walls and in a new book published by Contrejour on the occasion of the show. This new reading of Mario Giacomelli’s powerful and intimate black and white series focuses on his work as a whole, from his beginning in the 1950’s to his later work from the 1990’s. 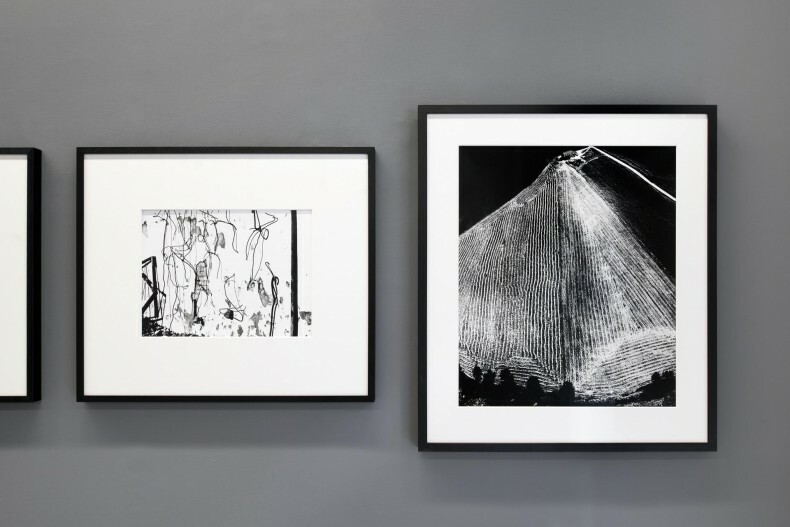 Through a series of little know prints of the artist, the exhibition will highlight several symbolic, graphic, sentimental as well as autobiographical recurring themes in Mario Giacomelli’s work. 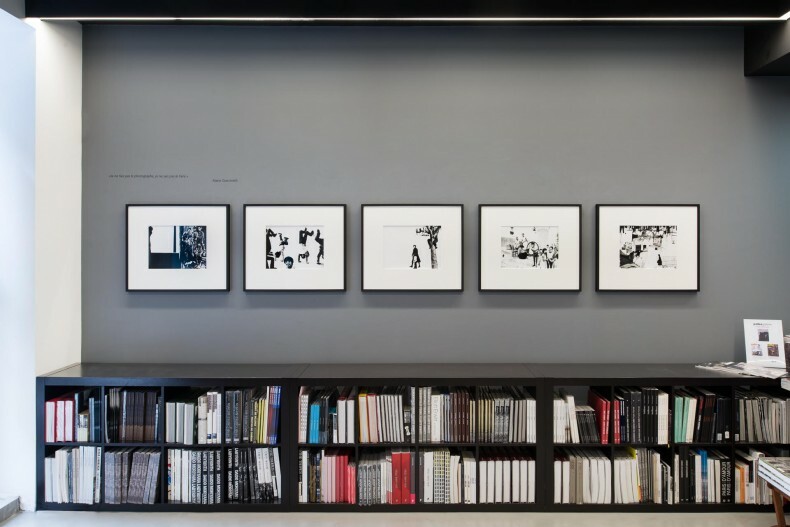 The photographs will be purposely taken out of their spatial and referential context. Unseen shots will be presented next to some of his most famous pieces. Series and times will mingle. What matters will be the spectator’s experience and the way he looks at the works. The scenography, as well as the book to be published, has been thought like a road movie. Documentaries, landscapes and portraits get mixed up and blur the lines between crafts and abstraction.